Suspect Arrested for Multiple Package TheftsThe suspect is identified as Eden Sergio Ortega, 37 year old, male, Hispanic, resident of Los Angeles. 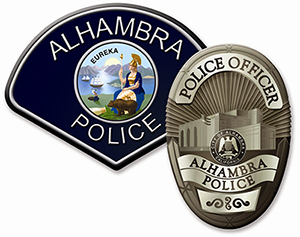 Alhambra Police Department Detectives began an investigation in late January of 2017 related to a rash of package thefts. These packages were online orders from companies such as Best Buy, Sephora, UGG, Nordstrom’s and other companies that offered online ordering. Detectives soon learned that these package thefts were not random acts, but in fact thefts perpetrated by one individual. The thefts are believed to have begun approximately two years ago, with a majority of the thefts taking place in the later part of 2016. After cross referencing internal documents amongst the various companies and receiving an anonymous tip, Alhambra Detectives identified the suspect as a delivery driver. Late last night (2/21/17), a search warrant was served at the suspect’s East Los Angeles home on the 5300 block of Verona Street. During the search, Detectives collected over seventy pieces of evidence and merchandise believed to have been related to packages that were never delivered by the delivery driver. Some of the items were found in their original packaging stored in the suspect’s closet. Other items found inside his home were relatively new and being used by the suspect and his family. These items included iPhones, various laptop computers, digital tablets, high end women’s shoes and accessories, children’s toys, along with three brand new large screen TV’s (still in their original packaging). Detectives also found shipping boxes and labels listing the intended buyer’s information (all Alhambra residents). If you have been a victim of package theft, please take these two steps to report your loss prior to contacting your local police department; 1. Contact the delivery company to let them know your package(s) never arrived; 2. Contact the company you ordered the merchandise from and report the incident to them. In order to prevent thefts in the future, consider asking a neighbor to hold the packages for you until you arrive home or have the packages delivered to your workplace.